UFO Get Caught By Police? 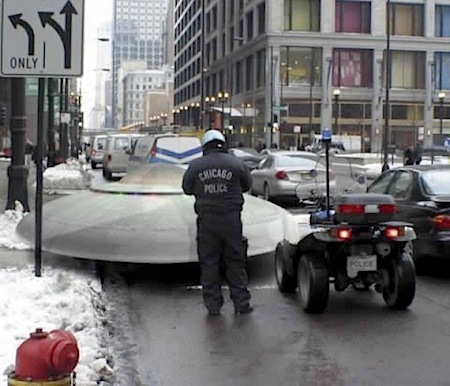 It’s seem like Chicago Policeman have caught and fine UFO for illegal landing and parking in Chicago City. Wonder that if it really happen, how the ET gonna make payment, did they pay by Cheque, PayPal, Visa or Master Credit card, ATM? I said you can’t be serious about fining this Universe Immigrant. Do You? 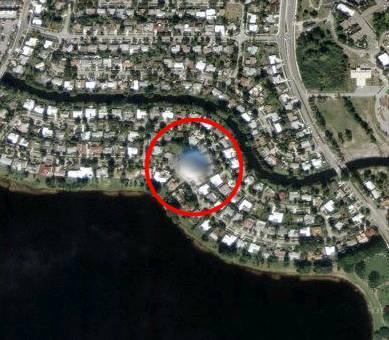 In separate unrelated event, UFO was found on Google Earth Map recently. The location is unknown. Seem like UFO already invade our life nowadays because we heard of UFO whenever we watching TV, Listening to radio, reading magazine or even when when are browsing Google Earth to view earth location. Sigh! This entry was posted on Thursday, November 26th, 2009 at 12:16 pm	and is filed under Funny Junk. You can leave a response, or trackback from your own site.